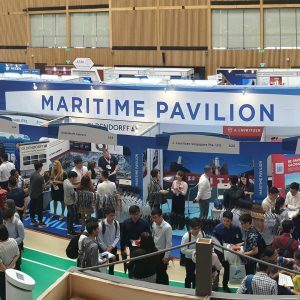 The Maritime Pavilion is organised to congregate companies offering maritime-related positions to create a unified identity and branding. 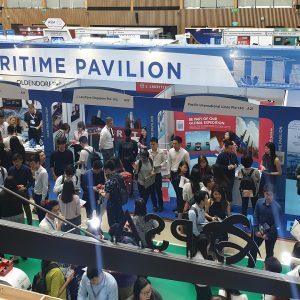 Students from NUS are encouraged to walk through Maritime Pavilion at the NTU Career Fair to better understand the opportunities the maritime industry has to offer and to provide a one-stop recruitment platform for the undergraduates. SMF organised the Industry Welcome Reception to formally welcome maritime graduates into the industry. 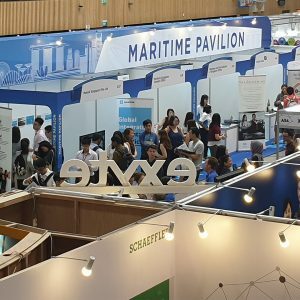 The Reception consisted of two sharing sessions from two maritime professionals, followed by a networking dinner, where students were able to engage with industry professionals to find out more about career opportunities in maritime. 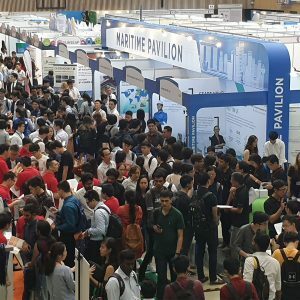 The Maritime D/coded Tour is organised for undergraduates in NUS, NTU, SMU, SUTD and SIT who are majoring in Computing, Information Systems, Technology and Design, Business, Economics, Engineering, Science, Mathematics to find out more about how big data is used in vessel valuations and trade analysis as well as maritime careers that are relevant to your discipline.